There will be a free workshop on water pumping efficiencies and winery wastewater treatment energy efficiency measures on Wednesday, May 8. 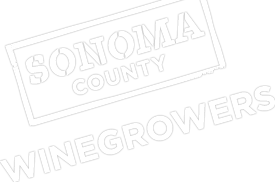 This workshop is a partnership between PG&E, Sonoma County Winegrape Commission, Sonoma County Vintners, Sonoma County Farm Bureau and Francis Ford Coppola. This meeting will take place at Francis Ford Coppola in Geyserville. Check-in begins at 8:30am with the meeting running from 9:00am until 11:30am followed by lunch. Attendance is limited and RSVPs will be required. Contact Karen at 707-522-5862 or [email protected] to sign-up. RSVP to attend by May 21. Registration will be cut off early if the meeting is full. The program will cover advanced pumping efficiency which includes pump testing, incentives for repair, pump efficiency and variable speed drives. Winery wastewater efficiency auditors, BASE, will present winery wastewater treatment conservation measures. PG&E will discuss energy efficiency incentives and programs and incentives to replace or retrofit eligible agricultural pumps for pumps 25 H.P. or larger. For more information on the meeting contact Karen at [email protected] or Lloyd Coker at [email protected] or 707-577-7047.